The Unique weekly pool service is designed to keep your pool and spa looking great and safe for you and your family to enjoy every day of the year. But there are also additional maintenance steps that need to be addressed on a regular basis. Not only does this maintenance help to protect your investment in your pool equipment and the body of the pool itself, but it also helps to reduce the number of chemicals needed to keep the pool and spa water balanced, which is better for your skin and for the environment. Some of the general maintenance tasks are listed below, but your service technician will inventory your complete pool and spa system to create a customized maintenance schedule to meet your specific needs. All three of the main types of pool filters, cartridge filters, sand filters, and diatomaceous earth filters, require regular cleaning. When the filters are clogged with dirt and sediment you will notice that your pool water no longer is as clear and sparkly as it once was. The good news is that you will never need to worry about this happening to your pool thanks to the Unique automated maintenance reminder system. We will email you when it is time to schedule a cleaning for your filters. Keeping your pool water balanced will help to reduce the calcium build up on the baffles of your salt cell, but it is recommended that these units be cleaned every three months. Without proper cleaning the calcium buildup will decrease the chlorine that is being generated and will compromise the safety of your pool water When the salt cell baffles are covered with calcium, no chlorine will be generated, and your pool can turn green very quickly. We will email you when it is time to schedule a cleaning for your salt cell. Over time, the total dissolved solids in your pool water increase and will reach a point where it becomes very difficult to keep balanced. This can occur more quickly in areas with poor water quality or if the chemicals used to balance the water are of low quality. But even in the best case scenario, pools should be drained, refilled and fresh startup chemicals added at least every five years. Not only will this protect your pool equipment but it will also reduce the number of chemicals required to keep the water balanced. We will email you when it is time to schedule a pool drain and refill/startup. PVB rebuild and visual inspection. Most pools will have a PVB installed on the water supply line where it exits your home. This valve is a safety feature that, when functioning properly, ensures that your pool water can never be siphoned back into your home’s water pipes and contaminate your drinking water. In the event of a loss of water pressure in your home, the pressure in your pool plumbing could exceed the pressure in your home’s water pipes. When this occurs, there is a back siphoning which could draw water from the pool or spa back into your home and cause serious contamination of the water, pipes and plumbing fixtures. It is not uncommon for house water pressure to drop if there is a high demand for water in an area. This can occur in the event of a fire, when hydrants are being used or if a water main breaks. To prevent this from occurring, a pressure vacuum breaker is installed at the point of connection to your house water. If there is a severe drop in water pressure in your home which creates a higher pressure in the pool plumbing, the valve in the PVB will seal causing the siphoned water to flood out from underneath the bonnet of the PBV. The water will go to ground rather than potentially contaminating your house water. The PVB rebuild replaces the bonnet and poppet assemblies as well as the check assembly to ensure that the check valve is fully functional and protecting your water supply. An acid wash or chlorine bath is a process which is used to clean a pool with stains or discoloration to the interior surface. These can be a result of magnesium or copper, extremely hard water or issues with algae. During the process, the pool is drained and then washed with the acid to remove a very thin layer of the pebble or plaster surface. When the thin layer is removed the stains and any persistent algae are also removed. The pool can then be refilled and startup chemicals can be added. This service can be combined with the recommended pool drain if you are noticing stains or color changes from calcium buildup. Calcium build up on waterline tile is not uncommon, but it does detract from the beauty of your pool. It is nearly impossible to prevent our Arizona hard water from eventually creating an unsightly ring around your waterline tile and on any water feature tile. The process of blasting the calcium buildup with fine media is the safest way to remove it without damaging your tile. If your pool is equipped with an IntelliChlor system or another system using a UV lamp, your Unique pool service technician will determine the schedule for your lamp replacements according to the manufacturer’s recommendations. When you are approaching the recommended replacement time frame, you will receive a reminder email. We will also include a cost estimate for a Unique pool service technician to complete the maintenance for you. If you would like our technicians to complete the maintenance, all you need to do is respond to the email, and our staff will schedule that work and reply with the scheduled service date. Some pool pumps will require regular maintenance to keep the pump operation at optimal levels and to extend the life of the pump. If your pump or pumps do require any regular service or maintenance, your Unique pool service technician will determine the schedule for your pump service according to the manufacturer’s recommendations. When you are approaching the recommended service time frame, you will receive a reminder email. We will also include a cost estimate for a Unique pool service technician to complete the maintenance for you. If you would like our technicians to complete the maintenance, all you need to do is respond to the email, and our staff will schedule that work and reply with the scheduled service date. 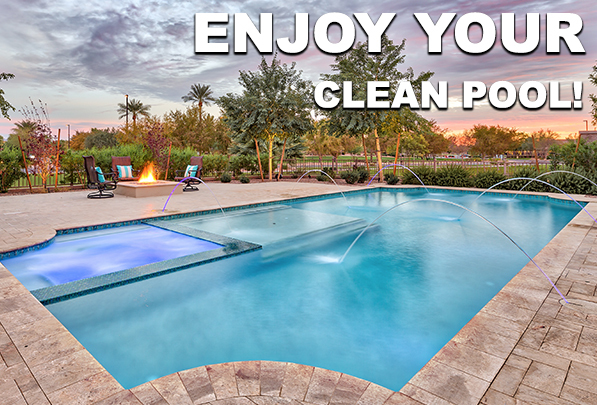 If your pool is equipped with a heater and requires regular maintenance, your Unique poll service technician will determine the schedule for your heater service according to the manufacturer’s recommendations. When you are approaching the recommended service time frame, you will receive a reminder email. We will also include a cost estimate for a Unique pool service technician to complete the maintenance for you. If you would like our technicians to complete the maintenance, all you need to do is respond to the email, and our staff will schedule that work and reply with the scheduled service date.